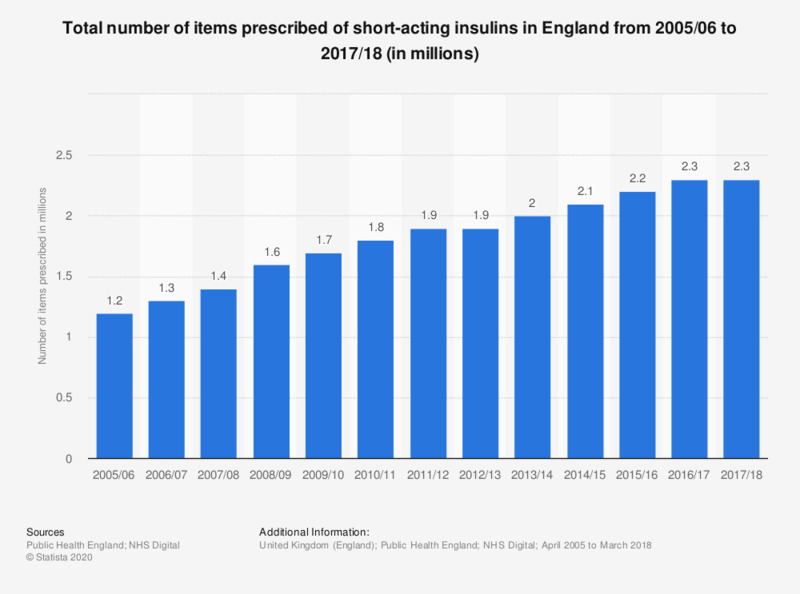 This statistic displays the total number of short-acting insulins prescribed in England from 2005/06 to 2017/18. In 2014 the total number of items of short-acting insulin almost doubled since 2005/6. In 2017/18 there were 2.3 million items.